Take your first step toward fitness and a happier, healthier life. Has the idea of running crossed your mind, but you haven't acted on it because you don't think you have the body of a runner? Have you thought about running but quit before you started because you knew that you would be breathless at the end of your driveway? Well, put aside those fears because you can do it. John Bingham, author of the popular Runner's World column "The Penguin Chronicles," transformed himself from an overweight couch potato who smoked into a runner who has completed eleven marathons and hundreds of road races. Forget about the image of a perfect body in skintight clothes, and don't worry about how fast or how far you go. Bingham shows how anyone can embrace running as a life-enhancing activity -- rather than as a competition you will never win. 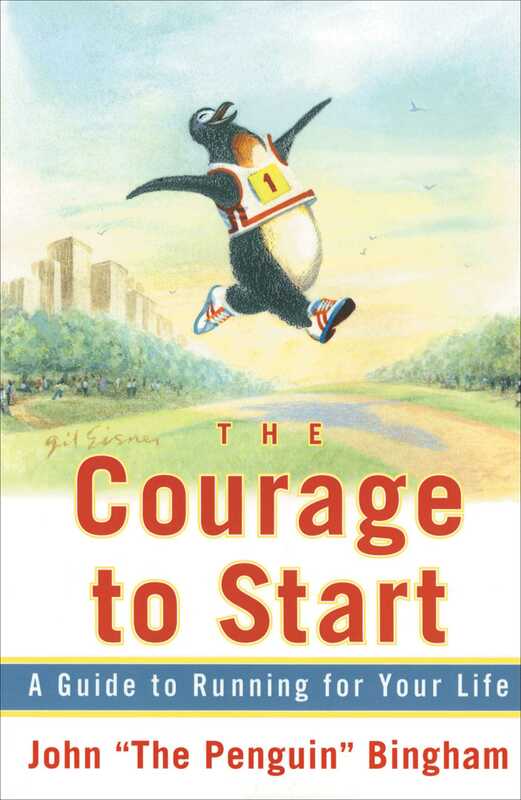 In an entertaining blend of his own success story and practical advice, Bingham provides reasonable guidelines for establishing a program of achievable goals; offers tips on clothing, running shoes, and other equipment; and explains how anyone can prepare for and run distances ranging from a few miles to marathons. After all, in running and in life, the difference between success and failure sometimes comes down to a single step. Waddle on, friends. John Bingham writes “The Penguin Chronicles,” a monthly column in Runner's World, maintains a popular Web site, and trains other “slow and steady” runners nationwide. He lives in Tennessee.